A decade ago, teacher Nathan Brookes saw four of his students walk up a hill and vanish. Only one returned: Olivia, starved, terrified, and with no memory of where she’d been. Questioned by the police but released for lack of evidence, Nathan spent the years trying to forget. After going to see and enjoying “It” at the cinema, I decided that I needed something along similar lines. 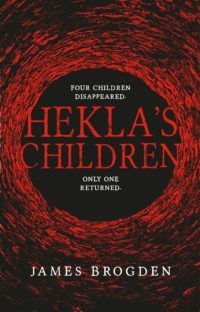 As luck would have it, I was going through a bit of book cull and found Hekla’s Children nestled in a pile of books. I read the premise and decided to give it a go. Oh. My. Gosh. This is one book that ended up being a heck of a rollercoaster of the ride. The book starts off in typical horror trope fashion, with the mysterious disappearance of three high school kids. It then jumps forward to the present with the discovery of a Bronze Age Warrior’s body in a peat bog. This is when things start to get weird, but I had an idea of what was going to happen. I suspected that Nathan and the Archaeologist, Dr Tara Doumani, who is studying the Bronze Age Warrior, would play very important parts in not only finding the kids, but also battling against this impending threat to our world, and truth be told, for the first third to half of the book, the plot seemed to go along that way. However, there comes a time where I had a genuine “Oh S**t!” moment in the book. What I thought was going to happen was quickly thrown out the window and it took a really dark turn. Nathan was still a big part of the book, but his role changed in a really surprising way. To say anymore would spoil some of the biggest surprises of the book. It really is best read blind to fully appreciate the books intricate twists and turns. As I said earlier, Nathan if the focal point of the book and it really seems to be a book about his attempt at finding redemption over his role in the disappearance of the children in his care. With the discovery of the Bronze Aged Warrior, things start to happen to him and he begins to see visions of the missing kids. Nathan feels a pull in trying to right the wrongs of his past, not just with the children but also with his ex. Nathan’s journey through the book is an interesting one for I did find myself willing him to be the victor in this tale. Even at his lowest points in the book, you can’t help but root for him. Brogden has really created a unique and very distinct world in his “other world”, where parts of the book take place. It is a harsh and unforgiven place. Reading it reminded me slightly of the Upside Down World in Stranger Things, but if it were situated in the Marshlands of England. In fact, I could see that this may be “across the pond”. Brogden’s other world, which he calls The Un, has very clear rules and it is a fully realised and functional reality. It is clear that Brogden has carried out his research on Middle Age history and mythology and this bleeds into his work. The ending of the book was really unexpected. Though this seems to be a stand-a-lone, there is potential to continue with this world and I wouldn’t be disappointed if this was the case. This is just a testament to Brogden’s skill as a writer. 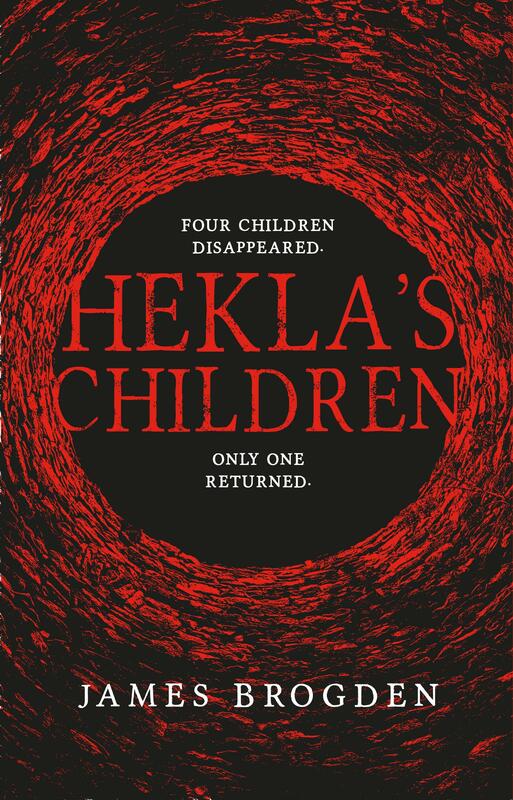 Hekla’s Children was a surprising read that I just discovered by chance. It was one of those books that just really had me in its grasp. I wanted to keep reading to see how it would all play out. Brogden knows how to keep a reader on their toes to the point you feel as disorientated as his characters. The switch between characters means you are given a much rounder view of the world. If you have binge watched all of Stranger Things, I suggest that this is the book that you pick up to help fill that void while waiting on season 3 to come up on Netflix.